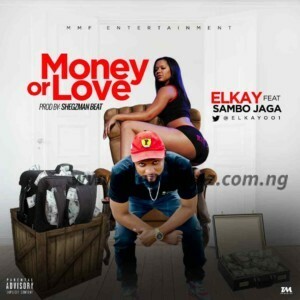 M.M.F Entertainment present Elkay in this new classic tune, Money or Love. Elkay usually drop songs on his birthday to mark the day and he keeps dropping fire, but this tune is the best of it. It was Produced master and mixed by Shegzman Beat , he got Sambo Jaga on this fine.